Do you represent a Wyoming State Government Agency and wondering how you should archive all your web and social media content? Are you trying to determine what you need to do both from a legal and a technical point of view? Here’s a guide to the different Laws and processes you should follow. What Laws Govern Records Management in the State of Wyoming? In the State of Wyoming, the State Public Records Act Wyo. Stat. § 16-4-201 et seq. and Open Meetings Act Wyo. Stat. § 16-4-401 et seq. govern open records and social media. The Wyoming Supreme Court has found a constitutional right of access to government information under the applicable freedom of the press and due-process provisions of the federal and state constitutions. (Sheridan Newspapers v. City of Sheridan, 660 P.2d 785, 792, 796 n.14 (Wyo. 1983). Do Wyoming Records Laws include Website and Social Media content? Yes, they do. NARA state that there is a “[P]ublic expectation that all web content is both permanently valuable and accessible” – and so social media and web records are subject to these standards as well as the relevant metadata being pertinent to these laws. The Wyoming Public Records Act (Wyo. Stat. § § 16-4-201 to 16- 4-205) sets up a general rule of access to public records by persons whom these documents and information regard in one way or another, and the public generally. Public records are defined as any record, in any form, created, accepted, or obtained by the state or any agency of the state in furtherance of its official function and transaction of public business which is not privileged or confidential by law. “Information” means opinions, facts, or data of any kind and in whatever physical form kept or maintained, including, but not limited to, written, aural, visual, electronic or other physical form; thereby including social media and website content. 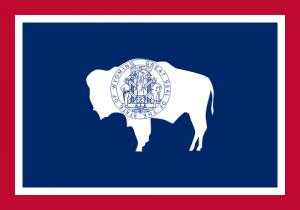 Wyoming law covers all branches of government at both the state and local levels. Your agency website must be retained in electronic format and remain usable, searchable, retrievable and authentic for the length of the designated retention period as established by the agency and/ or form of record in question and content placed on state agency social media should be moderated by an authorized, trained staff member. If a public record exists primarily or solely in an electronic format, the custodian of the record shall so inform the requester. Web sites must be retained in their original format: HTML, CSS, PDF, etc. How can we transfer website archives made with PageFreezer to the Wyoming Digital Archives? PageFreezer exports all data on request in the original file format including the required metadata. This data set can be transferred by FTP or by other means to the Wyoming State or Agency Digital Archives.